Get new job opportunity, prepare for international qualification, communicate effectively or have the experience of living for a while in an incredible country. These are some of the reasons why many people study English course in Australia and New Zealand. 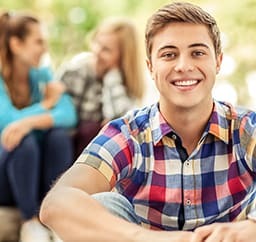 General English programs do not have prerequisites and schools offer classes from the most basic to the most advanced levels, allowing even those who do not speak any English to begin their studies. In addition, General English courses in Australia and New Zealand have super flexible structure. Classes start every week and the student can choose the number of weeks to study. Please note that a course lasting 14 weeks or more will allow you to have a student visa and work legally in Australia and New Zealand. In New Zealand, this rule for work permit is valid for students enrolled in category 1 schools. For category 2 schools, students must take a course of at least 24 weeks and have intermediate English level. Those who wish to take a course of up to 12 weeks duration must travel with a tourist visa. In New Zealand, a tourist visa is granted upon the arrival of the traveler to the country, and in Australia it is necessary to request the visa in advance. Language schools offer options for full-time (20-30 hours per week) or part-time (15 hours per week) English courses. All students who hold student visa must complete a full-time course. Australia and New Zealand are two very popular destinations due to their incredible natural landscapes that include beautiful beaches, snowy mountains, ecological parks, forests, deserts and many other beautiful scenery. This makes it possible for these countries to offer their exchange students the opportunity to combine their English studies with a lot of adventure. Many English language schools in New Zealand and Australia offer course options combined with sports activities such as diving, surfing, golf and tennis. 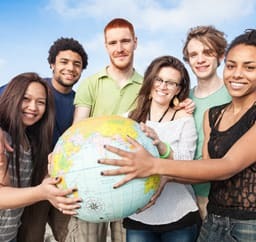 There are also options for English courses for teenagers or vacation programs, which combine English classes with trips, trips and lots of fun around the country. 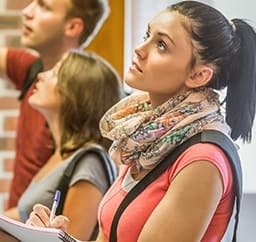 Those who already have an intermediate level of English and want to increase their studies may opt for more advanced programs such as: Business English or professional courses, IELTS or Cambridge preparatory courses, English courses for academic purposes and even programs For the training of English teachers - TESOL. Having fluent English is a fundamental requirement for studying at a university in Australia or New Zealand. 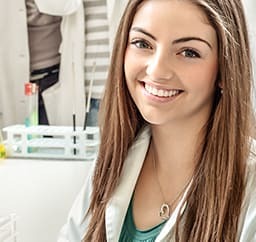 To prepare properly and achieve the fluency required for your further studies, many students choose to take an overseas English course as a first step towards their acceptance into a graduate, postgraduate or doctoral program in Australia or New Zealand. No wonder, many universities have their own language center with special courses in preparation for their future students. These courses tend to be much more focused, with a differentiated methodology of teaching, as well as to coexist in an academic climate and interaction with local university students.